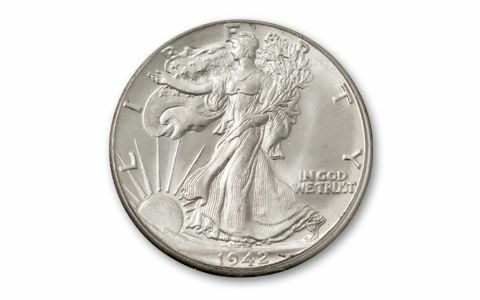 With war production ramped up in 1942, the mint geared up its production of the Walking Liberty Half Dollar. 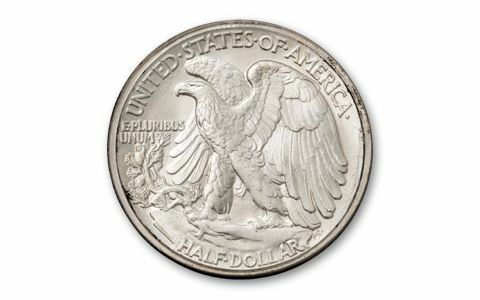 This big 90% silver "Walker" was the largest-denomination coin minted at the time, and they filled the pockets of Rosie the Riveters around the country. They were spent and respent, wearing down just a tad whenever they were dropped into a till or a coin counter. But, a small number were carefully tucked away and preserved. 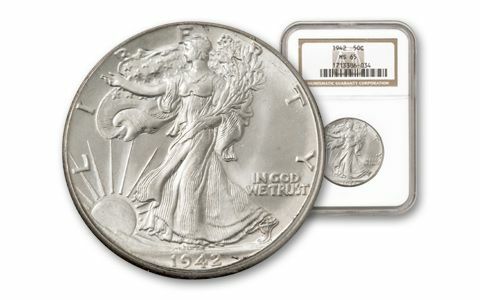 Today, these top-grade survivors can be found graded Mint-State-65 (MS65) by Numismatic Guaranty Corporation (NGC). 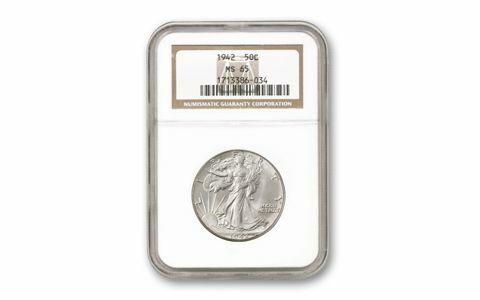 We recently found a small cache of 50 1942-dated coins from the Philadelphia Mint, and we snapped them up for you. Because of our buying power, you can own this top-quality Walker for less than they cost elsewhere. But hurry, when they're gone, they're gone!